The Google AdSense blog announced they are doing away with the AdSense for Mobile Content ad type and replacing it with the core content ad creation section. Google said they are doing this to "make it easier for publishers to use AdSense to monetize mobile web pages, we've migrated all mobile ad unit sizes, including the mobile banner ad unit, into the core product." The new AdSense ad code automatically formats the ads for the device. 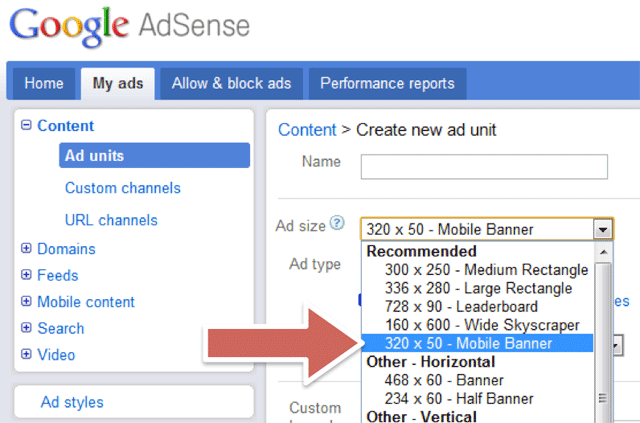 We will continue to support high-end ad requests from our AdSense for mobile content product until May 1, 2012. We strongly encourage publishers who have designed mobile web pages for high-end devices to use the new AdSense ad code to avoid disruptions to service. Note that publishers with mobile websites built for WAP browsers should continue to monetize using AdSense for mobile content. It seems like the feature phones should continue to use the AdSense for mobile content and the smartphone templates should use the new basic content ad format. Which shows again how Google is trying not to differentiate between desktop and smartphone users, - or at least there is confusion there - but that is for a different blog post. There is a lot of confusion around this at WebmasterWorld. One AdSense publisher said "you will not need to replace any Adsense code for high end devices" but is that true? It would be great if Google sent out automated emails to sites that need to change things. Previous story: Are The Waves Wrong On The Hertz Google Logo?